Tablelist credit. What is it? How do you get it? When can you use it? We cover all that and more in this post. Tablelist credit is as good as cash, and comes off your total before your card is charged. How can I use my Tablelist credit? When can I use my Tablelist credit? 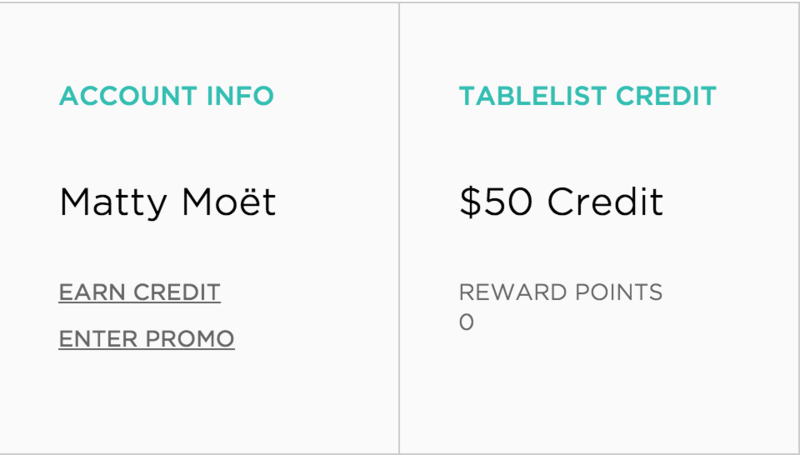 How does Tablelist credit work when we split the bill?